When I was a kid, I loved granny’s sugar cookie recipe. My mom would make the cookies each holiday and half the fun was decorating them. This recipe is a little different, but it’s super easy and fun to make. So easy in fact, that the kids can help you with the entire process. Using a tablespoon, scoop out some dough and form into a ball. Flatten the ball and use your favorite bunny shaped cookie cutter to form the bunny. 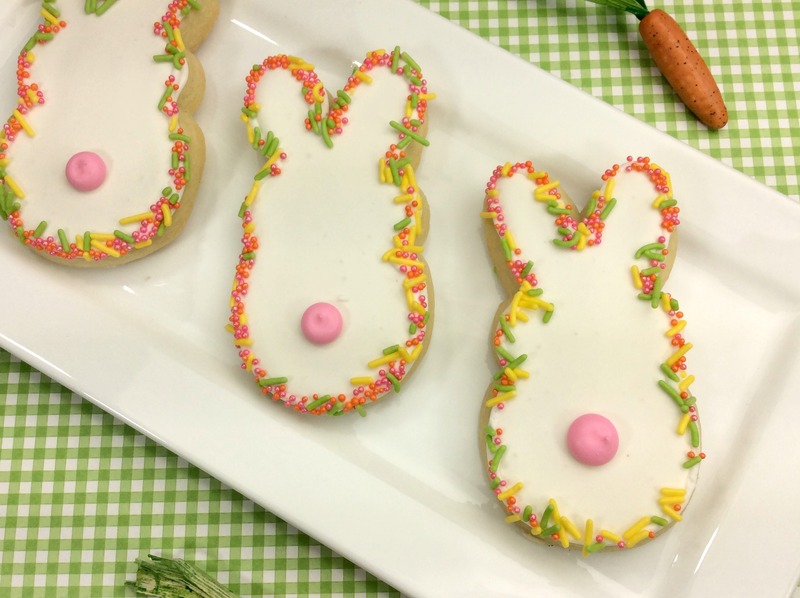 Once the cookies are done baking, place the large candy melt in the bottom center of the bunny and then use sprinkles to form an outline of the bunny shape. Let cookies cool completely before enjoying!